There are so many different mechanic tools on the market today that it can be hard to even know where to begin when picking them. It’s so easy to become overwhelmed, that many people end upturn to a mechanic or body shop whenever they need something done to their vehicle. There’s nothing wrong with that, as mechanics are a highly skilled professional that can save a lot of time and stress. Unfortunately, it’s very expensive, and that can quickly add up to create a whole new set of stresses. Luckily, manufacturers have made available the tools and resources to do almost anything that a mechanic can do, all in the comfort of your garage. Now, as far as picking the right tool is concerned, don’t worry. This buying guide is designed to help you make the most informed choice, and along the way, it should also provide a good overview of just how much can be done to your vehicle without having to pay ridiculous amounts of money. From engine work to dent repairs, there is a tool for it, and on this list, you should find what I feel is a good range of products to cover most facets of auto repair. Keep in mind though, that as extensive as I’ve been in putting this list together, it is still just scratching the surface. You could easily go on for days looking at tools to stock your garage, and still not have covered them all. That was just a snippet of what’s out there, and still, each product is for a completely different part of your car. That was intentional, because I tried, like always, to give as wide and varied a serving size as I could. In the end though, it’s not as bad as I’m making it out to be, so let’s take a closer look at some of the best options available, and hopefully after that you’ll be well equipped to find exactly what you need to get your hands a little bit greasy and fix your car. We’re starting this list with a product that is as all encompassing as it could get. 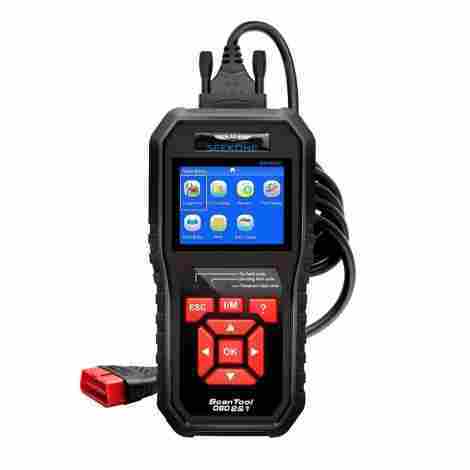 This is a diagnostic tool that is going to help you figure out just what is wrong with your vehicle, and it’s going to do it quickly and efficiently. There are a lot of different OBD2 scanners on the market, but this one by Seekone combines all the best aspects and put them together in a very easy to use piece of equipment. Seeing as how car tools can be so expensive, it’s always nice to find one that has the versatility to last a very long time. This scanner is one such tool, as Seekones provides free lifetime updates, letting you keep on top of your engine’s needs for years to come. Working on your car can be a tough, dirty job, and your tools are bound to get beat up quite a bit in the process. Seekone knows this, and built their diagnostic reader accordingly. Despite it feeling quite light, it is more than strong enough to stand up to all the abuse found in your garage. To be able to have such a wealth of information at your fingertips, almost no price is too high. Seekone, however, seems to disagree, and made their scanner accessible to everyone by providing a great value at a very reasonable price point. Alright, this really isn't much of a tool for your car, but it is incredibly useful. Vehicles have a lot of parts, easily numbering into the thousands once you take everything into account. Those parts can be very small, and are easy to lose. Hence including this very well made nut and bolt tray on the list. It’s large enough to hold a whole bunch of parts and tools, and it’s magnetized, so those contents are going nowhere. 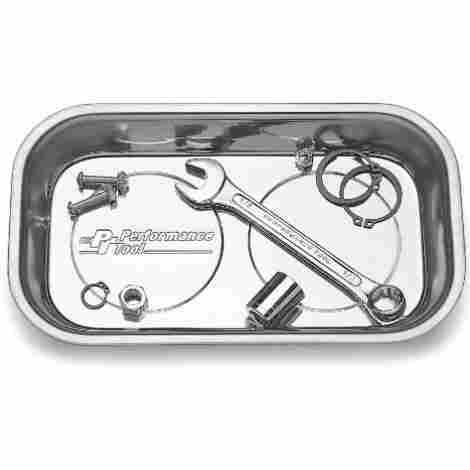 For such a seemingly innocuous product, the manufacturers could easily get away with making this tray from a thin, inferior metal and just not market the durability. IN this case, just the opposite is true. They`ve opted for a heavy gauge stainless steel, so this tray will keep doing its job for as long as you do, if not longer. Easily the best feature of this tray is its very nature. It's A large, deep container built to keep smalls parts close by and contained. It just so happens to do its job to a very high level, and the addition of magnets makes it even more efficient at its task. This is a glorified bowl to some degree, so it already isn’t going to be expensive. However, it does so much more than any of receptacle can, and by virtue of convenience, is an incredible value that provides peace of mind when your engine is strewn across the garage. Everything you could need to fix and change out the brakes on a wide variety of makes and models from Japan, Europe, and North America. Thats a lot to boast about, and Orion Motor Tech makes good on it by providing a top quality tool kit that will have you working like a seasoned pro in no time, even if you're not. The seventeen adapters included let you work on hundreds of vehicles without hesitation, and that amount of versatility is hard to come by. There are literally hundreds of makes of vehicle that this kit will work on thanks to the wealth id adapters included here. Gone is the worry of whether or not your vehicle is compatible, since chances are, it is. Orion Motor Tech clearly had everybody’s best interests in mind when they put this kit together because they decided to include very detailed, simple to follow instructions that break down how to use the product in a no-nonsense manner. This way, anybody can get started and not have to rely on an expensive auto shop. We’re talking about a complete tool kit with everything needed to do a job from start to finish, that just so happens to be very affordable. Not only is this great for the DIY types, but it's great value helps keep the cost of doing your brakes down to a manageable level. Some of this list is going to focus on tools that have nothing to do with an engine, and this is the first one. This trim kit is the go to product for those who are looking at customizing other aspects of their vehicles, namely the interior. With this kit, you can easily get to things like your stereo or instrument panel, and its strong, lightweight design isn’t going to cause any strain or discomfort while doing it. As anybody who works with their hands on a regular basis may attest to, things can get pretty uncomfortable pretty quickly. This fact is compounded with more intricate work, such as car detailing. These tools have the solution by being lightweight and ergonomic with clean lines solid grip. This way you can work longer, and you won’t even notice the hours flying by. The majority of this kit is made from durable nylon. That durable nylon happens to be easy and cheap to produce, which adds up to a low cost to the consumer for a product that is likely to exceed expectations in terms of strength, value, and performance. Much like the diagnostic tool earlier on was an all encompassing product, so too is this mechanics tool set, but in a different way. That one was for getting to know the inner workings of your car, and this one is all about fixing everything you could think of in terms of the performance of the car. From the engine to the tires, and everything in between, this tool set should have it. However, this isn’t so much a specialized kit, but rather one that is designed to let you work on as much as possible yourself before having to resort to taking it in. The chrome finish found on these tools is for more than a nice shiny aesthetic. It’s a durable coating that is going to protect the tools and give them a longer lifespan, while keeping out moisture and the natural oils of your hands and preventing rust. I’d never heard of the Crescent brand before, but that doesn’t mean anything. They’ve obviously been able to get very good at what they do, considering that one hundred years is a huge accomplishment for any company, let alone one that that produces a product that is being constantly scrutinized by professionals everywhere. Given what this tool kit is, the cost, at first glance, is going to seem high. If you were to break it down per unit, then you’re looking at less than a dollar per piece. Break it down even further by how much performance and functionality you get, and you’ll quickly see that it’s easily worth every penny. A lot of other tool sets on the market are going to boast quite a few more items than this one, but that doesn’t always mean anything. A lot of it is redundant or unnecessary, so why pay for it? Craftsman made sure that every one of their tools is going to have a practical use in some way. Craftsman is a brand that most people have heard of, and in a lot of cases, this will be the go to brand for first time homeowners just entering the world of DIY. That’s because people remember working with Craftsman tools all the way back to childhood, and know that the level of quality is second to none. Made with affordability in mind, this very well priced tool kit will appeal to weekend warriors everywhere, and make even the most green mechanic at least a bit handy. Handy enough to save the money spent on a mechanic, anyway. Yet another change of pace. This isn’t a tool that will help you fix your brakes, or even change a spark plug. This tool is meant to do one thing: Get you safely out of an emergency. Every function is designed to handle a worst case scenario, and could very well prove to be a lifesaver. Hopefully, you’re never in a predicament where you’ll need to use it, but if you are, it should give you an increased chance at walking away from an otherwise dangerous situation. A seatbelt cutter and a window breaker may seem like a bit much, but if you ever find yourself in an accident and need to get to safety ASAP, these features literally become lifesavers. You never know when you’ll need them, but having them will help you rest a bit easier while on the road. Each of the five functions on this tool are meant to serve a purpose, meaning there is no redundancy to be found. The best part is, many of them help out in everyday situations, such as the pressure gauge and LED flashlight, so you can put it tpp work immediately after purchase. This tool helps save lives potentially, so that alone gives it value that can’t be matched. Add to that the fact that it costs no more than the price of a few coffees, and you’ll find yourself in a situation where you have no other choice than to pick one up. It just makes too much sense. Here, we’re looking at an item dedicated to keeping your tires inflated and roadworthy. 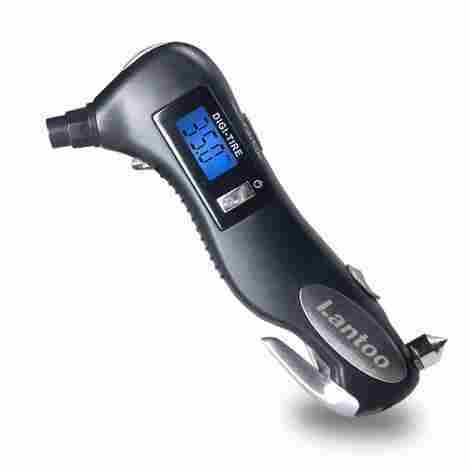 This very accurate digital pressure gauge and inflator will keep you on top of your tires’ needs at home. All you need is a compressor, and you can skip ever having to go out of your way to stop at a dealer or gas station for some much needed air. Having properly inflated tires can save on fuel costs, so it pays to be a bit proactive with this piece. Maybe less known to average driver's is the fact that tire pressure can drop significantly for every ten degrees that the temperature drops, leading to increased fuel costs and reduced grip and traction. No one has the time to constantly go in to get their pressure checked and adjusted, and now they won’t have to. This one does it all. Checking the air in your tires isn’t an overly hard thing to do, but it can be confusing for some. To that end, this tire gauge and inflator was built to be easy to use by anyone, without having to mess around with complicated procedures. The up front costs for this tools can escalate a bit, especially considering you need an optional air compressor to use the inflator option. This piece itself is very affordable, and the savings on fuel and other tire related services will more than make up for the added price. The belts found on your car’s engine are a vital yet often overlooked part that can be a pain to change. This is one of those do-it-yourself jobs that can often be more trouble than it's worth, and you wind up paying way too much for what is really an easy fix. Or, you can pick up one of these tool kits built specifically to take the hassle out of changing your belts, and save yourself a lot of money and hassle. Alltrade worked to make the best available tool set on the market, and it’s safe to say they did a pretty darn good job. As I’ve said before, changing the belts on your car can be a huge headache. Alltrade made their tools to take away as much of the stress as possible, and having them long and thin enough to reach the tightest spots will go a long way to keeping you calm. This toolkit comes with detailed instruction cards and pictures, all of which are laminated. This makes using the tools simple since you can have the cards beside you as a quick reference without risk of them getting damaged. The pictures are a useful companion to the instructions. Everything you need to change out the belt is included in a handy, durable case, all for a few dollars. The cost for this toolset may not be very high, but the amount of value that you’re getting from it certainly is. To end things off on a solid note, I’m looking at a roadside emergency kit. Again, these aren’t tools that are meant to fix your car, but rather to get you out of a hazardous situation when your car is beyond an immediate fix. This one, by Lifeline, has 42 pieces of equipment, from first aid to booster cable, to minimize any emergency situation as quickly as possible. Of all the tools on this list, the ones that can help prevent a worst case scenario are the most valuable. Some people love driving so much that they will willingly go on long car trips for the heck of it. Or, they have family far away that they like to visit. Whatever the case, having a roadside emergency kit handy can be a life-saving proposition, especially during night driving scenarios. This kit is so handy because it doesn’t just include a few tools to get your car going if it breaks down, but also, in the event of an accident, it’s equipped with enough first aid equipment to hold you over until help can arrive. How much would you be willing to pay for security and peace of mind? Whatever the number is, I’m willing to bet that it’s a bit more than what you’ll actually pay. This kit gives you a world of value for a very small price. While going through the items on the list, I hope that you noticed a bit of a pattern. For all of the variety and range in my selections, every single tool and piece of equipment was designed to be used by new drivers, or the inexperienced handyman. Like I’ve stated before, dealing with the repairs of your vehicle can be very stressful, and not everybody is mechanically inclined. So, in order to give everybody a fighting chance, I endeavored to provide the ideal entry points into as many types of tools as I could. Don’t get me wrong, any seasoned veteran mechanic will be able to put all of the tools to good use, and be relatively satisfied while doing so. The only time it becomes a bit of an issue is when a specialized tool is required that isn’t typically included in toolkits. Still, as a starting point, having any or all of the item included on the list can help make life with your car just a little bit easier and more enjoyable. That being said, it’s a good idea to have at least a few tools for your vehicle, if only for the smaller things, as this can save you a lot of money. The reason that price plays such a big role in determining the right tool to choose comes down to a few key factors. One is the type of tool being used. Another is the wide availability of tools in a crowded market. Finally, specialization is another large factor. There are many more, but to focus on these three, for now, will give a strong general overview of what to look for regarding the cost of the tool. The type of tool and the specialization of the tool may appear to be one and the same, and they do overlap, but there are enough differences to make garner each of them some attention. For the type of tool, this mainly concerns the area of automotive repair that is being tackled. For example, most general engine work will require tools that are widely available and are used in countless applications, and therefore aren’t generally going to cost much. Most of the repairs done on an engine are going to involve a socket wrench, screwdriver, and open face wrenches. These can be found as kits or complete sets, in some cases for only a few dollars. If, however, your repairs are going to take place on a more obscure area of the vehicle, then the tools are going to be less common and therefore more expensive. Brakes, for instance, require their own set of unique tools such as calipers, in order to get the work done. These are still very affordable, but not as widely used as sockets and wrenches, and therefore are less cost-effective. 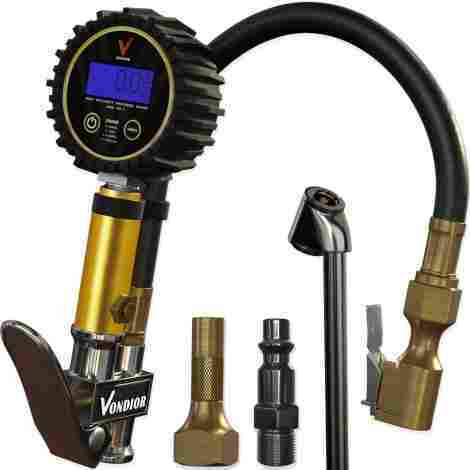 Other tools, such as pressure gauges, are also easily found and very affordable, but this is due mainly to their necessity. Availability is the next thing to consider, and this can affect the price of tools drastically. They tend to be relatively easy to produce, and therefore there are new companies popping up all the time offering tools of various quality for low prices. These are generally very shoddy and won’t last past the intended job in some cases, but because they are so cheap where other, better tools are much more expensive, people tend to take a chance on them. This can have a very negative effect on the market, forcing better companies to reduce their prices in order to compete. This leads to cost-cutting, which often means outsourcing the work to less expensive countries, which in turn lowers quality even more. In many cases, the smaller manufacturers are the ones to suffer the most, as they can’t afford to compete, and often just cease their operations altogether. Now, specialization, in this case, is different than just being the type of tool needed. As stated above, most work done on the engine can be completed using very common tools that pretty much every household has in some form. However, this isn’t always the case, and sometimes a specific tool with a single purpose is needed. When replacing the belts, for example, it takes special tools to be able to get in to remove the belt. Even the common tools are specialized for this job. The wrenches and other tools need to be longer and thinner than usual, as the belts are located in hard to reach areas of the engine. It’s these tools, that will likely never be used more than a handful of times, that is going to be the most expensive. Since there are quite literally tools available to perform any possible function on a vehicle, in order for it to be considered functional, it needs to be able to do more than one or to things. Earlier, when I mentioned price as a criterion, I had stated that most jobs can be done using very common tools found around the house. This is an ideal example of a high level of functionality. 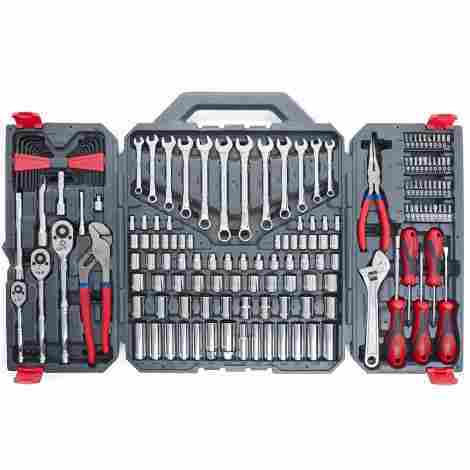 These tools, such as socket wrenches and screwdrivers, are put into use for countless purposes. In fact, I’d estimate that these two tools alone can take care of over half of the repair needs in and around the home. 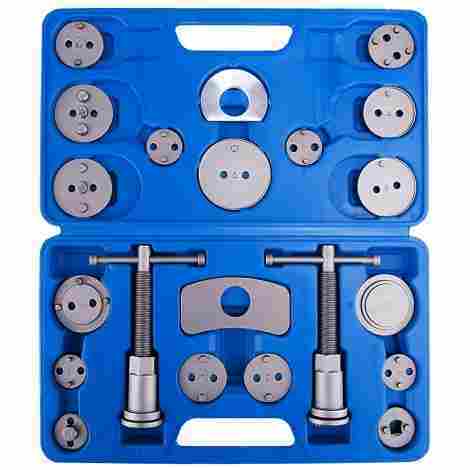 This is a bit deceptive, however, as these tools in and of themselves are interchangeable to fit a variety of differently sized and shaped heads, allowing you to use only one tool for any almost any bolt or screw. Other tools will incorporate more than one purpose into a single device, such as OBD scanners. These are designed to measure emission levels in your car, but many of them also contain diagnostic readers to determine the status of the engine. That way, instead of having a multitude of electronic devices, the user now has all of their computer needs met with a piece of equipment. Another such example is the survival tool, included on this list. Not only does it allow escape during a crash by providing the means to both cuts out of your seat belt as well as break the window to escape, it also includes fairly mundane tools such as a pressure gauge that help greatly increase the overall versatility of the item. Another way in which a tool may be considered to be highly functional is when it is included in an all-encompassing kit. 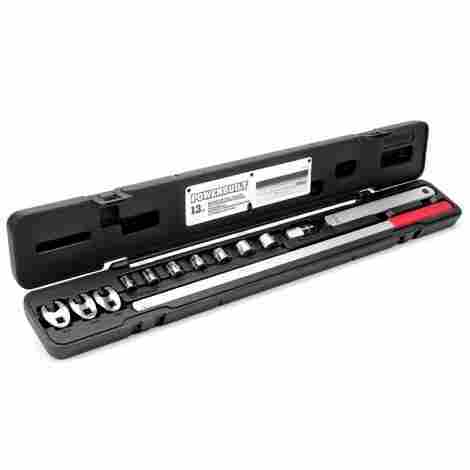 Many manufacturers have put together mechanic’s tool sets that have everything a car owner would need to perform the most common repairs. 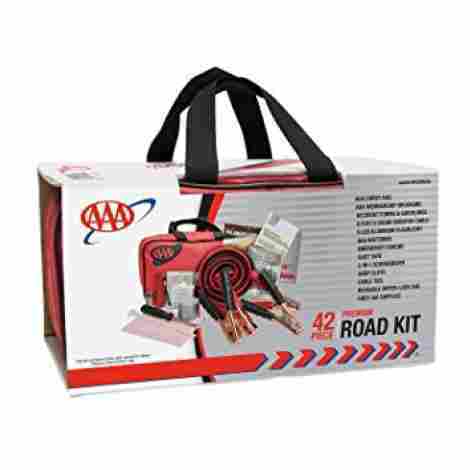 Other companies have created emergency roadside assistance kits that contain elements of first aid kits as well as simple equipment such as jumper cables. These kits, for the most part, are very useful and economical, though they don’t usually hold up too well in advanced circumstances. Quality is always going to be a major criteria in determining the right product for a specific user. This applies to any type of purchase. However, when it comes to tools and equipment that is going to be used on your vehicle, it becomes even more important. Your car, in many cases, is your lifeline. It allows you to get from place to place quickly and efficiently. Usually one of these places is your place of work, so it needs to be working well at all times. As such, cars are very expensive. You are not going to want to work on it with tools that aren’t of the highest quality. While cheaper tools are often an appealing option, you do run the risk of causing damage to your car. There are many, many well-known brands when it comes to automotive tools. Names such as Snap-On, Craftsman, and Mac are familiar to almost everybody, not just mechanics. For the most part, these are the brands that are the most reliable. Unfortunately, with the advent of online shopping came an enormous influx of cheaply made tools that promised better performance for much less money. The deception as quickly found out, but unfortunately, it was already too late. People will always love a bargain, and if something is cheap enough, it is almost always considered worth taking the risk on. Because the bigger companies now faced so much competition, they were forced to cut costs in order to lower the prices of their tools. This almost always meant sacrificing quality, and at the end of the day, the consumer would suffer. Luckily, the more revered brands were able to weather the storm, as people would pay more for them based on the reputation and trust built over the years. This allowed them to maintain the same levels of quality, balancing out an otherwise tumultuous market. Emission testing: A type of emission protocol used to maintain an emission standard. This test measure car exhaust emissions to ensure that it producing under the maximum allowed by a regulating authority. The parameters used can include combinations of temperature, speed, and load. Extension bar: An extension bar is used with a socket wrench to extend the reach of the socket in confined or isolated areas. It is essentially a solid steel piece of piping and is attached to the wrench and socket. Hex keys: Also known as an Allen Key or Allen Wrench, it’s a tool often used with bolts and screws. They have a hexagonal shape to allow them to fit into the head of the bolt or screw and are most commonly found in an L-shape. This shape is used to provide leverage when turning the key, as well as extra versatility in hard to reach places. Impact wrench: Known also as an air wrench, an impact wrench is a socket wrench powered most commonly by an air compressor, which offers the highest power-to-weight ratio. Shaped a lot like a power drill, an impact wrench has a low-cost design and is used when a high amount of torque is required. Mechanic: A skilled tradesman who maintains and repairs machinery. A mechanic is a term most often associated with those who work on vehicles and can include every aspect of car maintenance, though it frequently refers mostly to the engine. Mechanics can work on multiple makes of vehicles or can specialize to a specific model. Most auto mechanics today are needing to focus more on computer knowledge than actual hands-on technical work, as many vehicles now rely on computerized systems to make them properly function. Metric sizing: A method of measurement taken from the metric system using the meter and derivatives in order to measure length. The majority of the world uses the metric system, with the exception of Australia and the United States, who use the Imperial system of inches and feet. Because of the pretty significant differences, many tools are made to feature both metric and imperial measurements, in order to accommodate all requirements. OBD2 scanner: An On-Board Diagnostics scanner is a device used to receive and interpret a vehicle’s self-diagnosis and reporting capabilities. These scanners gather the information and relay it to the mechanic in the form of codes that then indicate where the problem lies within the vehicle. Originally, these scanners were very expensive and therefore used primarily by auto shops to help reduce repair time. Recently, they have been adapted for home use and can help the car owner know what the problem is before either attempting the repair themselves or prior to taking the car to a mechanic. Pressure gauge: A handheld tool used to measure the amount of air pressure in a tire.Car tires are rated for handling certain loads at specific levels of pressure, so having a gauge is recommended in order to be aware of the condition of your tires at all times. 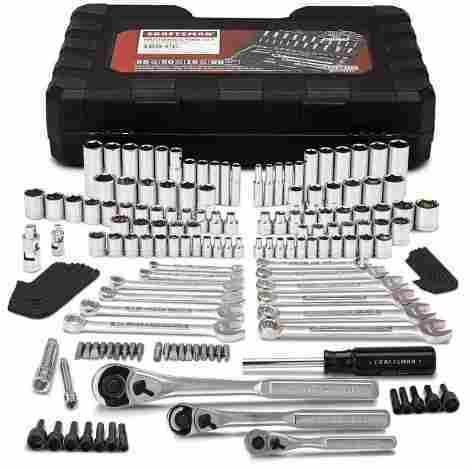 Ratchet: Widely used as an alternative name for a socket wrench, which is properly referred to as a ratcheting socket wrench. The term refers to the part in which the handle is connected to a ratchet mechanism, which then connects to a socket. The ratchet operates by allowing the socket to tighten or loosen a bolt when rotates in a certain direction. Rotating in the opposite direction allows the user to reposition the handle for continued use. Trim: When referring to trim when it comes to a car, you’re really speaking about the version of the vehicle. Many cars come with varying trim packages, and the higher the grade, the more expensive the vehicle. Time is pretty much the materials and fabrics used to adorn the interior of a car. In Regards to trim removal tools, these are tools that are used to remove interior panels to allow access to parts of the car such as the stereo or instrument panel. Q: Why are there so many car tools? Because there are so many parts and aspects of a vehicle, it makes sense that there are so many parts. In order to enable car owners to perform their own repairs and maintenance, manufacturers have made available all manner of tools and equipment to handle almost everything a car has. This, coupled with the many differences between certain makes and models, along with cars made in different geographical regions means that the market for automotive tools is going to remain flooded for a long time. Q: Why can’t I just go to a mechanic? If you, as a car owner, don’t feel like you have the mechanical inclination needed to do the repairs yourself, then you are by all means entitled to take your car into a mechanic’s shop. The idea behind providing general consumers with the means to work on their vehicles is to make possible a more cost-effective means of repair by eliminating the labor cost involved with a mechanic. Q: Do I need to have all of the car tools? It is absolutely not necessary to have all of the tools listed in this buying guide, and in fact, it would fairly cost prohibitive to do so. Some of the tools presented here are more for cosmetic purposes, or are more specialized, and meant for those with a bit more experience and skill. It is recommended. However, to have a least a few of the items, as they provide an easy solution to some pretty common issues that can plague your vehicle and don’t require the expertise of a trained mechanic. Q: Are these car tools professional quality? Much like any other product, especially those that can be found online, there is going to be a mix of professional quality, and those that are inferior in construction but make up for it with a lower price. This can also be reversed, where a higher quality tool comes at a cheaper price or a shoddy, poorly made tool is deceptively priced well above market value. It all comes down to doing an adequate amount of research before making the purchase, and wherever possible, trying the tool out before you buy it. For the most part, a manufacturer is going to put out the best quality product that they can, because the car tool market is a very competitive one, and the poor performers are quickly found out. Q: Can anybody make repairs on their car? This question can go two ways. Yes, almost everybody has the opportunity to make their own car repairs, but some people aren’t what would be termed as handy. By all means, if you want to attempt to repair your own vehicle, give it a try. Every car owner should have at least a rudimentary understanding of how their vehicle works, and be able to fix the most basic problems. If you fall under the category of not being handy, however, it may be a good idea to go to a mechanic, or enlist the aid of someone who has worked on cars successfully in the past, as doing the wrong thing could greatly increase the cost of fixing it, and in some cases, render the vehicle unusable. Q: Do these tools need to be certified? Depending on the type of tool, there are several standards that need to be met before it can be released for sale. these standards can come from the manufacturer themselves, a third-party certification board, or a concerned watchdog group vying for increased safety in workplace tools. These standards can cover such areas as stress tests, accuracy, or reliability. Lifewire.com – What Is an OBD-II Scanner? Generalautorepairsd.com – What is a Car Diagnostic Test & Why is it So Important?